Are you a family nurse practitioner or certified nurse midwife looking for employment opportunities? 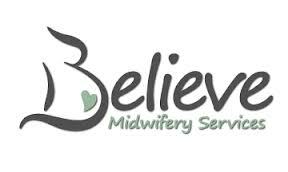 Believe Midwifery Services, a solo homebirth practice owned by Penny Lane, CNM, MSN, IBCLC, is seeking to hire a FNP and one or two CNMs. Located in Thorntown, Indiana (a half-hour from from both Indianapolis and Lafayette), Believe Midwifery Services is a thriving practice operating since 2007. For more information and to apply, visit the job descriptions. Believe Midwifery Services, LLC in Central Indiana is seeking a Family Nurse Practitioner and would consider adding another Certified Nurse Midwife with the right applicant. The FNP would work one day per week initially as the clientele grows. Our practice has been established for six years and is BUSY so it may not take long to add additional days. Our clients are typically highly educated and of a higher socioeconomic status, so they pay for care that they can't receive anywhere else. They don't want pharmaceuticals as a routine, and they prefer natural remedies and a good sit-down discussion on how to better understand their bodies. They do want access to medical interventions when appropriate. The nurse-midwife position would begin as a fellowship opportunity. After the first year the midwife could begin working more independently, potentially in a second office or birth center. Experience has taught me that this is the best model for adding a second midwife, but we can be quite creative with schedule commitment. Our practice is currently booked each month with a waiting list. We are independent practitioners with a growing well-woman practice. Every birth is attended by the CNM and two assistants, most often nurses. All are NRP certified including intubation and emergency medication administration. In the office, we have two assistants as well, so the midwife can focus on the care of the client. Lactation is a huge priority, and we maintain care of our newborns through six weeks. Our practice has a number of collaborating physicians that are incredibly supportive, so access to care is a non-issue. We receive rather frequent referrals at this point, hence the waiting list and our need to add one or two additional nurse-midwives. Our websites can be found at www.BelieveMidwiferyServices.com and www.RedRaspberryBoutique.com. We pride ourselves in increasing the standards of homebirth and have high expectations for clinical care. We attend a good number of VBACs and vaginal breeches. We also have very supportive MFMs, which allows us to maintain care of GDM, PIH and such if properly managed. Resumes can be emailed to Penny@BelieveMidwiferyServices.com or faxed to 765-436-7114. Our application can be found on our website as well. Want to read "Labor and Deliverance" blog?